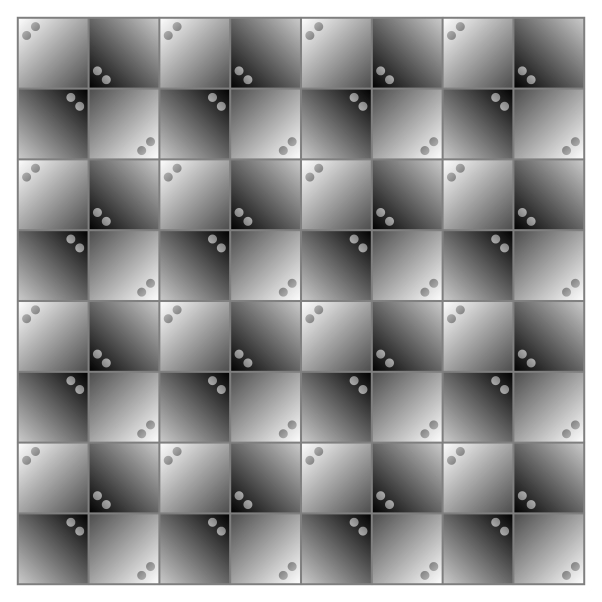 Each ray is a square but appears to be distorted by the illusion of shifted gradations (Kitaoka, 1998). In addition, the eyes of the darker rays appear to be lighter than those of the lighter rays, but they are identical in luminance gradient. Moreover, some parts of the vertical or horizontal lines appear to be lighter or darker than other parts (Logvinenko illusion?). 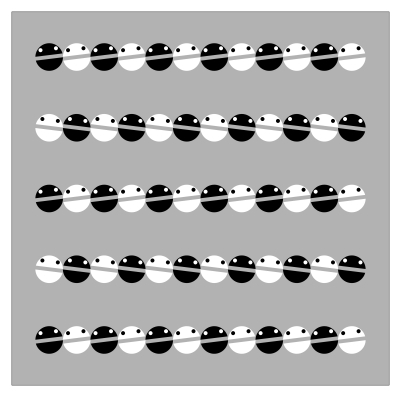 Although each line made of snake's mouths is horizontal, the uppermost one appears to tilt counterclockwise, and the next one clockwise, and so on. This tilt illusion is the Fraser illusion. 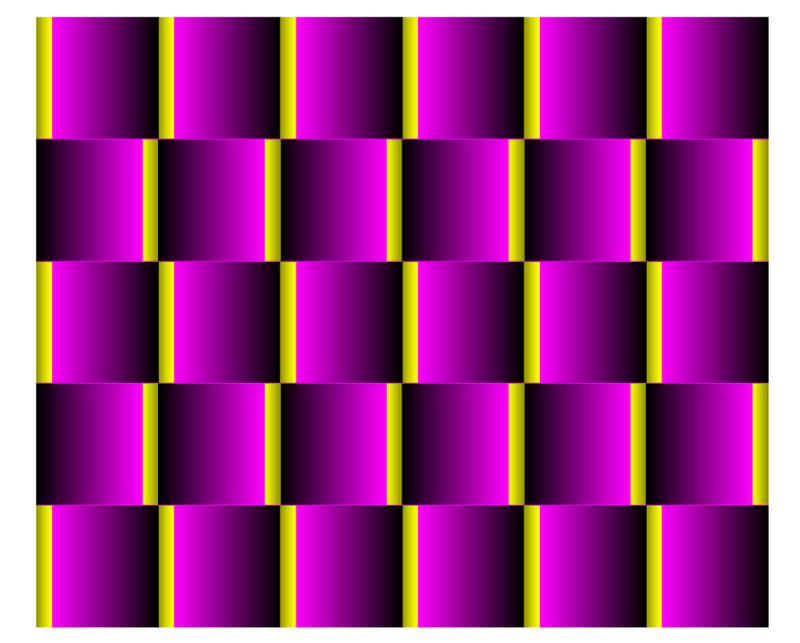 In addition, each row appears to sway horizontally. Although each spit made of oblique line segments is vertical, the leftmost one appears to tilt clockwise, and the next one counterclockwise, and so on. This illusion is the Fraser illusion. 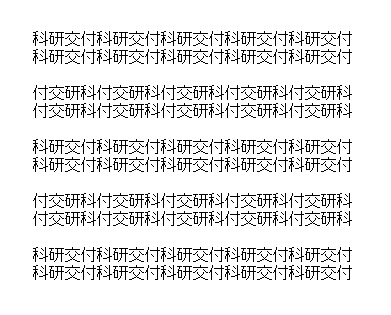 The rows of words appear to tilt alternately. " " are the Chinese characters that mean "Granting the grants-in-aid for scienctific research from the government of Japan". 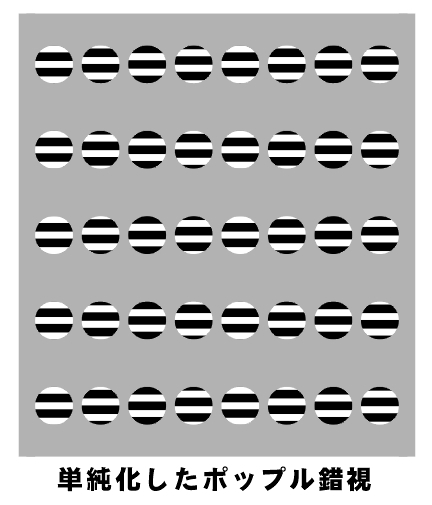 Each row of circles is horizontally aligned but the uppermost, the middle and the lowermost rows appear to tilt counterclockwise while the other two clockwise. Popple, A. V. and Levi, D. M. (2000) A new illusion demonstrates long-range processing. Vision Research, 40, 2545-2549. Popple, A. V. and Sagi, D. (2000) A Fraser illusion without local cues? Vision Research, 40, 873-878. Horizontals appear to tilt though this image consists of only squares. 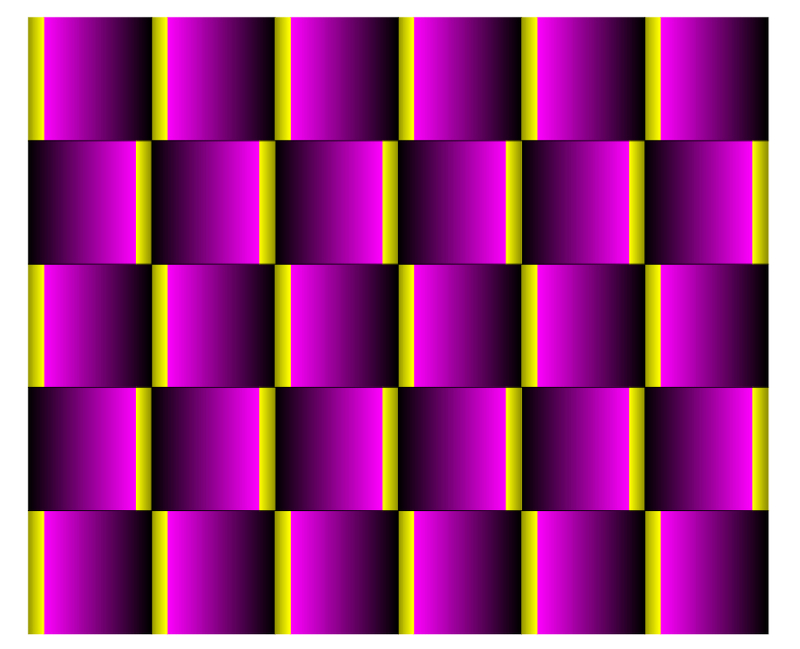 The four thin lines appear to tilt alternately. 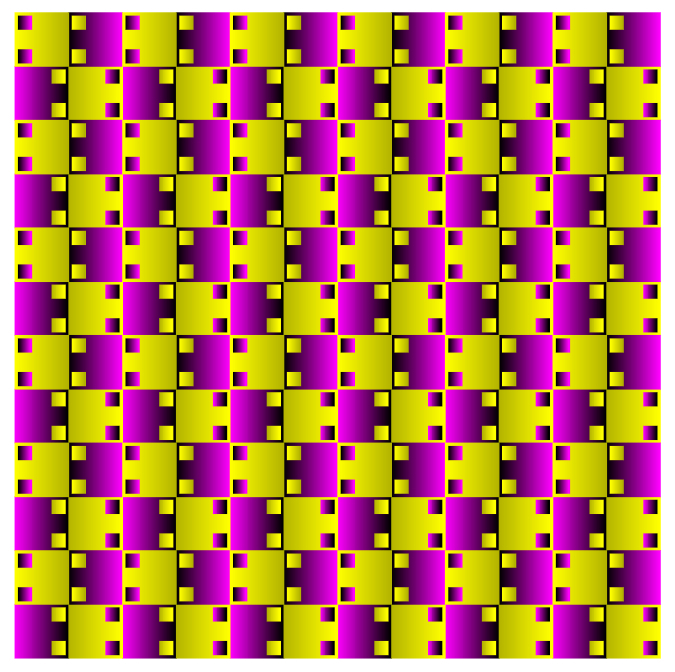 In addition, the five rows of squares appear to move alternately. Black thin lines change the orientaion of the tilts. 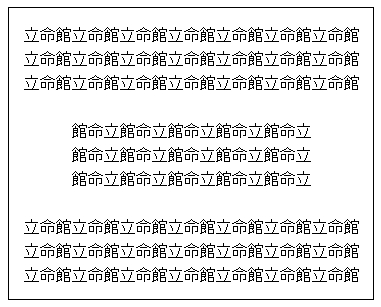 The upper or lower theree rows appear to tilt clockwise while the inset appears to tilt counterclockwise. " " are the Chinese characters of "Ritsumeikan". Each small ellipse is horizontally oriented but appears to tilt toward the neighboring large ellipses. Dr. Yasushi AGATA, University of Tokyo, discovered this illusion on the carpet of the Gakushi-kaikan, Tokyo, Japan.